How do you write a book with seven people? 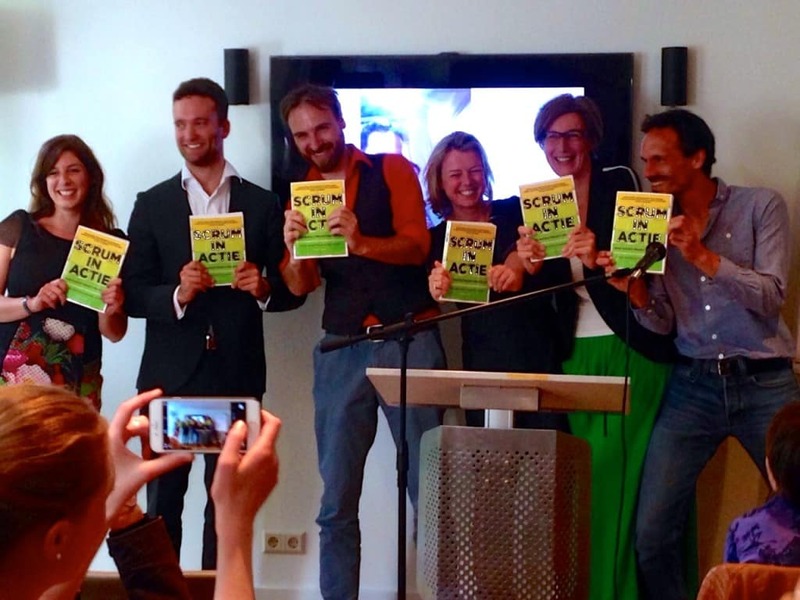 Scrum, of course – says Petra de Boer, co-author of the recently published “Scrum in action”. But what is Scrum actually and what good is it? Scrum is a radically different way of working that greatly increases the productivity of teams. Scrum teams work with more focus and fun, in a constantly changing environment, to deliver valuable results time and again. That we need a new approach is evident. We lose too much time in long-term planning and energy-guzzling projects, while the world around us is changing rapidly. Change has become the norm. Organizations need to be agile, otherwise they miss the boat. At first glance Scrum seems deceptively simple. There are clear roles so that everyone knows where they stand; recurring ceremonies in which the team aligns the work; and a few handy lists hanging permanently visible on the wall. But appearances are deceiving. Behind the simple roles, ceremonies and lists lies a fundamentally different way of working. It is their interplay that makes it work. Detailed planning is only effective for the short term. Projects are broken down into short sprints where you continuously yield valuable (intermediate) products. The project team plans and organizes the work itself and has all the professional disciplines to do the job. The team makes visible what is working and what the progress is. Clients and stakeholders provide regular feedback so the result is always better. The team reflects on a regular basis on its own performance, so team members increasingly become accustomed to working together. Intensive collaboration, self-organization, transparency, feedback and visible results almost inevitably provide more job satisfaction. Organisations working with Scrum are gradually more energetic and increase their adaptability, without requiring direct significant structural change. Just by having one scrum team – and a scrum coach – and by getting started. The term “Scrum” originally comes from Rugby. During a scrum, a team works together closely to move the ball. The condition is that all players are properly aligned and have the same goal. Petra de Boer, partner of Enterprise Perspectivity wrote Scrum in action, practical guide on how to make each project a success, along with six fellow scrum coaches. She facilitates scrum project teams and gives scrum workshops and trainings, both in-company and via open registration.